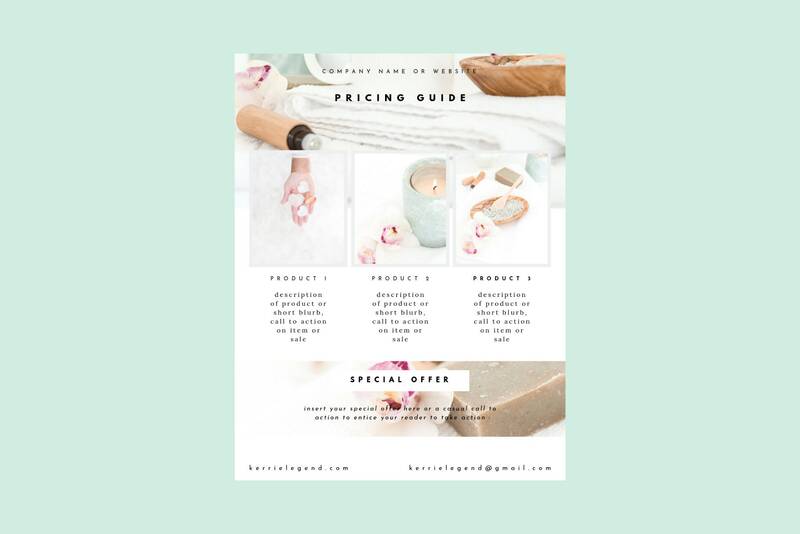 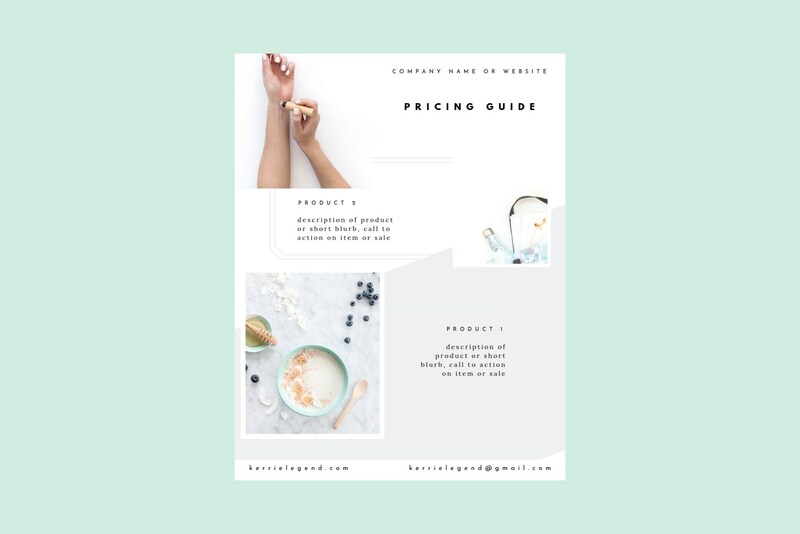 Beautiful pricing guide templates for Canva. 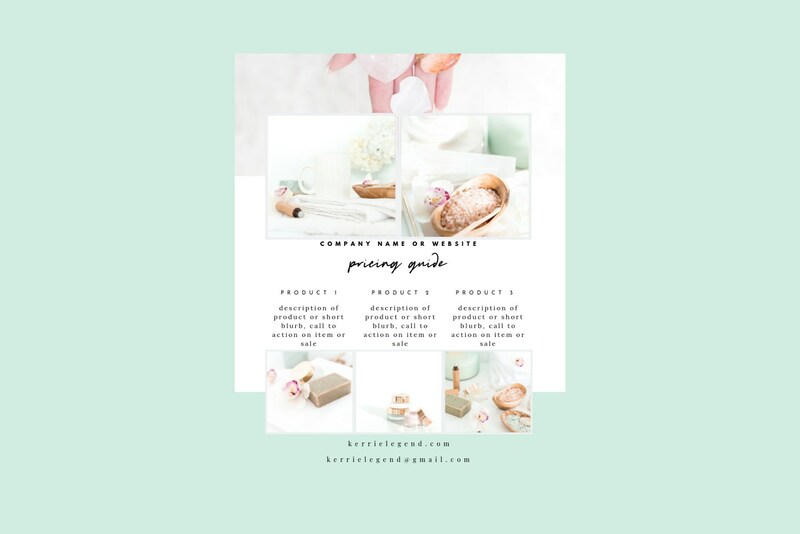 Included are 5 templates with easy drag-and-drop sections for your images, columns for prices, etc. 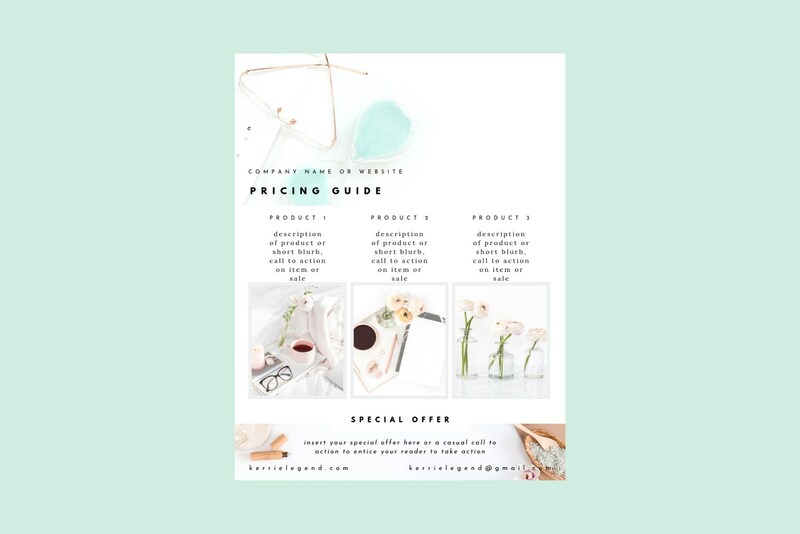 to impress your readers and customers with a beautiful, easy-to-read pricing sheet. 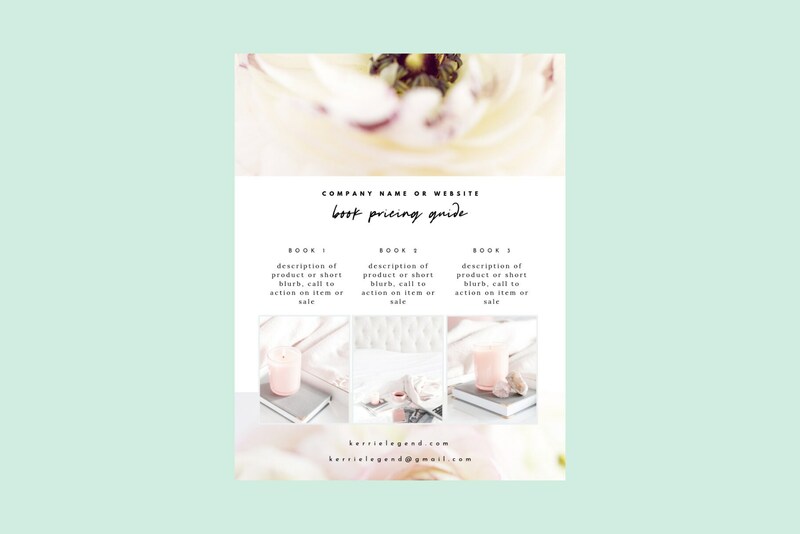 Download file includes template saving instructions and link to Canva templates. 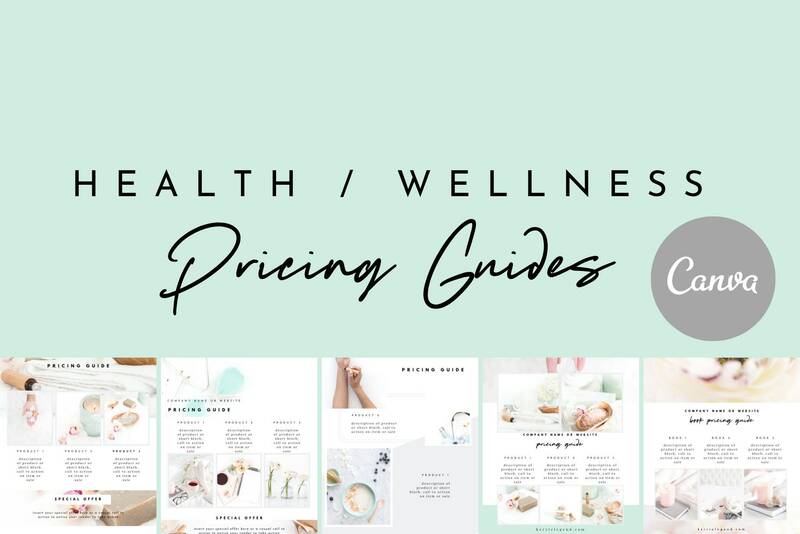 Use as a spa template, massage template, health coaching template, yoga template, a coaching template, etc.